The future of real-time storytelling and broadcasting. The Tagboard platform makes it easy to display your Live Video on your website, at events, at meetings and/or on broadcasts. 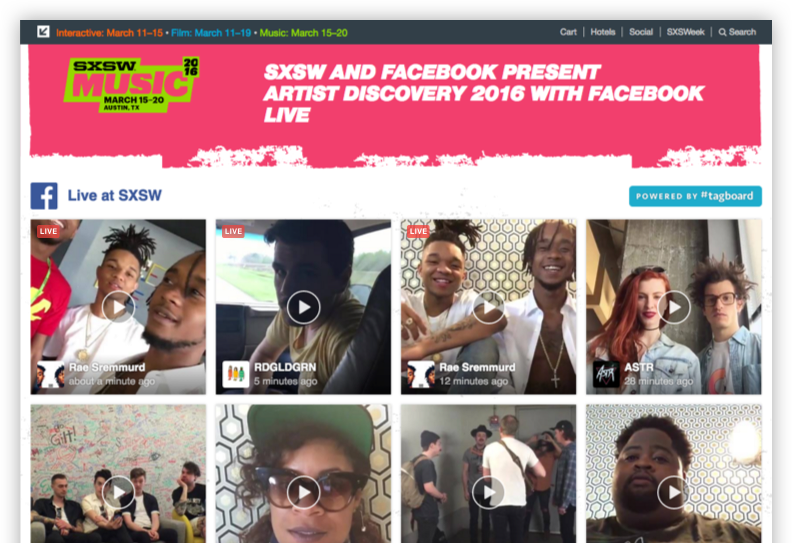 Facebook, SXSW, and Tagboard teamed up to present hundreds of artists’ Facebook Live videos on a web embed. Viewers and fans were able to get an inside, VIP experience of the SXSW Music events through the eyes of the artists. Request a Tagboard demo to learn more about Live Video. 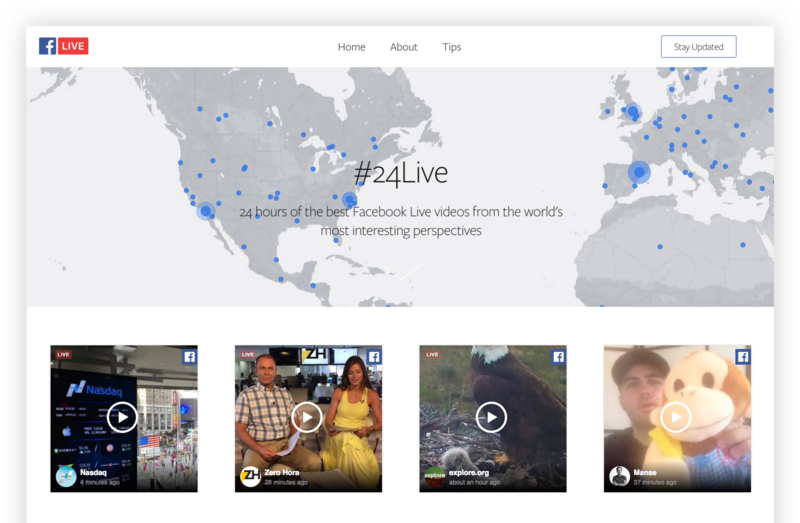 Following new feature announcements, Facebook asked celebrities and influencers to show off the power of Facebook Live in a global, 24-hour event called #24live. Tagboard powered the launch bringing together all the #24live videos in a web embed. 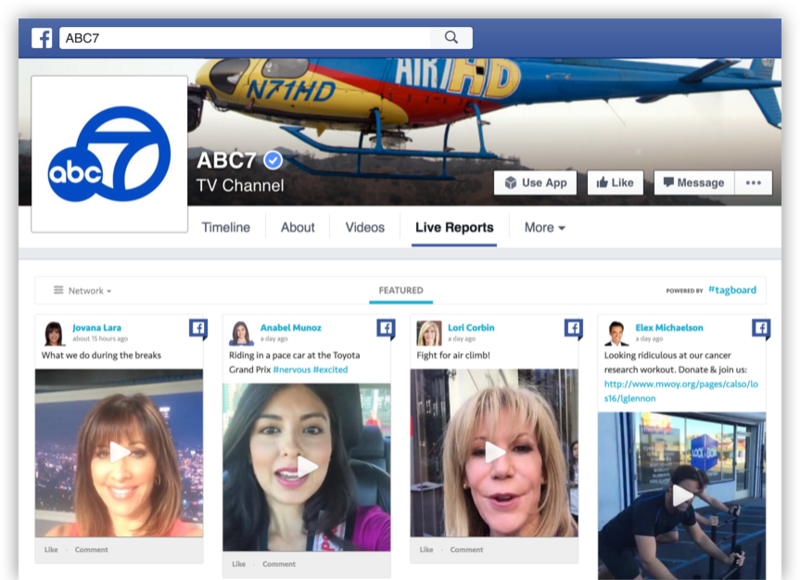 ABC7 in Los Angeles has dozens of on-air talent who utilize Facebook Live to broadcast to their viewers on social media. Tagboard helps the media company bring all the live reports together into one tab so their 1.7 million followers can easily make sure they never miss the action.